Unique gifts of all shapes, sizes and prices – and for all ages and interests — can be found in Houston’s museum shops. Books, posters, notecards, postcards, jewelry, chic clothing and accessories, quirky versions of household items and office supplies, toys, puzzles, stuffed animals, t-shirts, coffee mugs, refrigerator magnets and bumper stickers. The Menil Collection, Contemporary Arts Museum Houston and the Museum of Fine Arts, Houston offer beautiful books and unique gifts about art, artists and art history. The Houston Zoo has paintings by elephants and orangutans. The Houston Museum of Natural Science has magnificent mineral rocks and fossils. Find witty gifts like a Carl Jung action doll at the Jung Center, beautiful Bohemian crystal and antique Czech garnet jewelry at Czech Center Museum Houston and tornado tubes, Galileo thermometers and science experiment kits at The Weather Museum. Beautiful one-of-a-kind fine craft objects, some made by artists in residence, fill the gift shop at the Houston Center for Contemporary Craft. Historical accounts of tragedy, courage and achievement can be found at the Holocaust Museum Houston and Buffalo Soldiers National Museum. The Health Museum and the Children’s Museum of Houston have games, toys and books for children that are fun and educational. For more information about shopping in the Houston Museum District, visit houstonmuseumdistrict.org, and click on Shopping and Dining. Other museums throughout the Houston area are also great places to shop. Air and aerospace are in our blood, especially since the first word said from the moon was “Houston,” so it is not surprising that the 1940 Air Terminal Museum and Space Center Houston are great places to shop for books, clothes and models related to air and space. Space foods, official mission patches, Fisher space pins, space blankets, flight suits, helmets and jackets are among the special gifts available. “Quirky” is another byword for Houston, and a few quirky Houston icons are the Beer Can House, the Art Car Museum, the Orange Show and the National Museum of Funeral History. 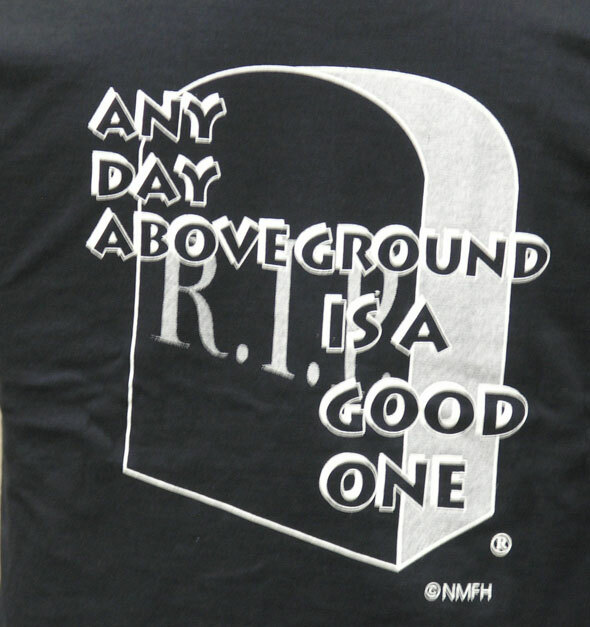 Hats, t-shirts (inclu ding one at the Funeral Museum that carries their catchy slogan – Every day above ground is a good one!) and jewelry and purses made of recycled pull tabs and bottle caps are quirky reminders of a visit to Houston. Books and mementoes of fascinating histories can be found at the Houston Fire Museum, Museum of Printing History and the Heritage Society and the National Museum of Funeral History. Giving the gift of museum visits may be the best gift of all. Check out CityPass at five participating museums and at the Greater Houston Convention & Visitors Bureau gift store in City Hall. In fact, City Hall is a great place to find information about many museums and cultural attractions and gifts that say “HOUSTON.” Two of my favorites are the book about the real Houston, “Houston. It’s Worth It,” and honest to goodness longhorn horns. AAM attendees – make time to shop while you are in Houston! Then, while you are in town, let us know what your favorite find was. Local friends – what’s the most unique thing you’ve ever found in a Houston museum gift shop? Where’s your favorite museum gift shop and why? We want to hear from you! Tell us in the comment section below. This entry was posted in Places of Interest, Shop. Bookmark the permalink. Don’t overlook the Houston Maritime Museum for unique nautical gifts ranging from light houses to full-rigged ship models!